has decided to cease manufacturing operations. View a larger image of the CS 306. The highly acclaimed Cooper 208v2 was displayed in its latest configuration. Refinements include: eight channels of high quality A-D outputs with all the needed sampling freqs, balanced direct outputs from each input, enhanced channel routing, and enhanced monitor section. 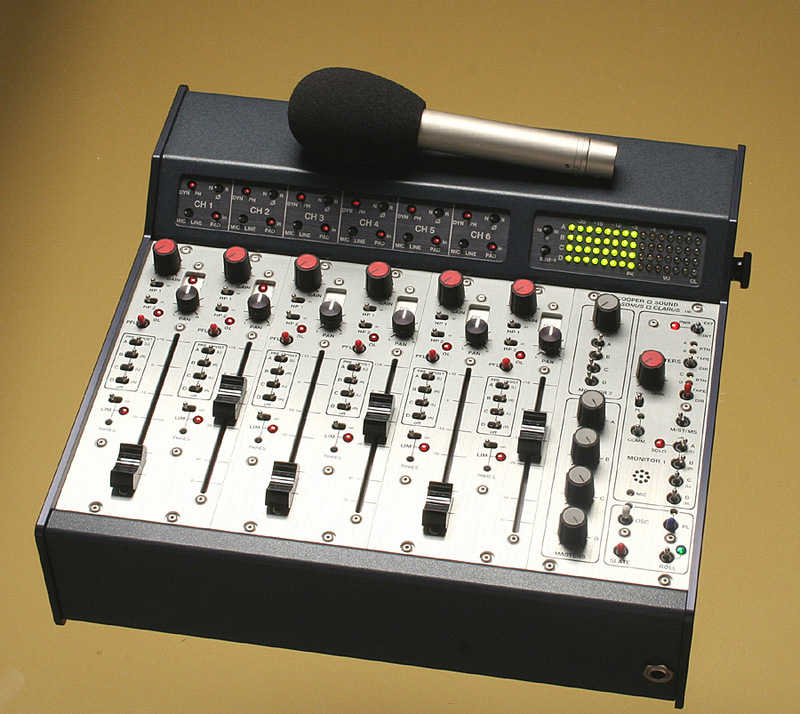 The result is a very solid, very user-friendly field mixer that is arguably the best sounding and most power-efficient of its class. 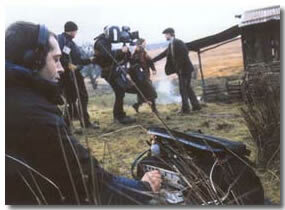 Photo: Alastair Widgery on set with his Cooper Sound Systems CS 208 V2 mixer and Nagra V location hard drive recorder. 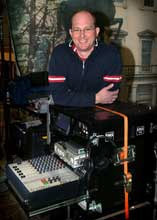 Nagra Kudelski (GB) Ltd. has recently supplied a Cooper Sound Systems CS 208 V2 eight channel portable audio mixer to sound recordist Alastair Widgery, for integrated use with his NAGRA V location hard drive recorder. 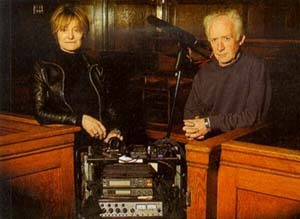 The rig is being used to record the forthcoming BBC series, 'My Life In Film'. Widgery states that "the CS 208 has set a new benchmark for the rest of my gear. 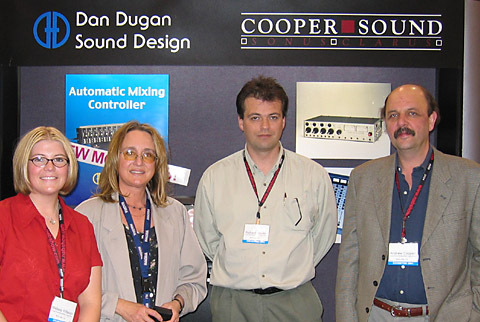 My aim has always been to get a Cooper Sound because of their reputation for making the best location mixers. Proven reliability is essential and a full, warm sound makes for much better end results." The NAGRA V's transport is being run via one of the CS 208's two, fully independent 'Remote Roll' switches - providing an integrated solution that delivers the ultimate in location sound: "All I have to do is power up in the morning and after that there's no reason to touch the NAGRA V... other than to take the hard drive out for post," explains Widgery. "I've noticed a quantum leap in sound quality and believe that the combination of the analogue Cooper and digital Nagra gives me the best of both worlds." The Version 2 CS 208 incorporates improved monitoring facilities, faster acting onboard limiters and a more flexible bus assignment capability. Widgery is convinced that he's found the unit he needs: "You only have to use it for a few minutes to realise that Cooper Sound has spent the money in the areas that really matter; faders, mic amps, transformers - all the audio components. The CS 208 V2 is easily living up to my expectations and the current dollar exchange rate means that it was the ideal time to take the plunge!" UK - A new courtroom drama series for Granada Television, In Defiance, starring Ross Kemp, is being recorded by boom operator Chris Gurney and sound mixer Rosie Straker using a Cooper Sound CS104 mixer. "The quality of the sound you get through the headphones with the Cooper Sound is just incredible", says Rosie Straker. "I also like the ease of access with all of the functions. 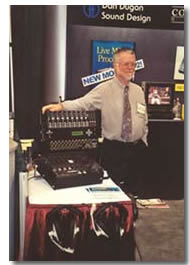 showing the new D-2 digital automatic mixer.